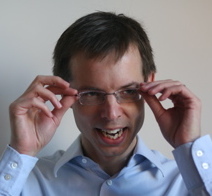 Tom Coates is a Royal Society University Research Fellow. William Latham first met Coates with the artist Gemma Anderson, who collaborates with Coates, at Anderson’s Preview in March 2013 at the EB&Flow Gallery in Shoreditch. Following a brief discussion it became clear that Mutator 2 could be used to navigate and visualise the Fano equations that Coates was working with. Stephen Todd worked with Coates to generate mutating Fano animations. Anderson joined the one day Evolutionary Drawing workshop in October hosted by Latham at the Phoenix and is working on a number of on-going projects with Latham.